Just not to mess up further, I am so going to post up the day-to-day challenge albeit they are going to be on the different dates, well just to catch up. Just want to point out the contest Zespri® is promoting at the moment... all you need to do is collect the barcodes found on Zespri® kiwifruits plastic boxes, submit them together with the contest form, answer the question correctly and most importantly... describe creatively how do you feel after consuming Zespri® kiwifruits. 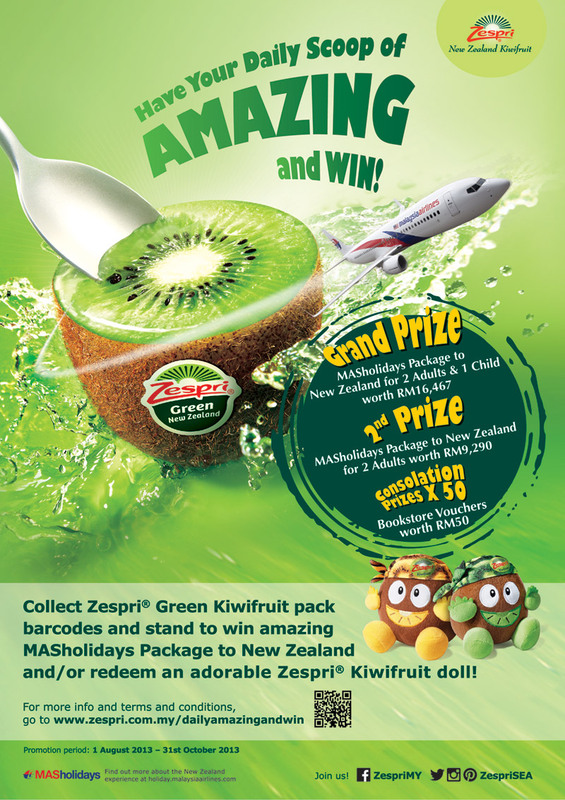 You can find the details of this contest in www.zespri.com.my/dailyamazingandwin with the terms & conditions. You can stand to win the grand prize of a Masholidays package to Auckland & Rotorual, New Zealand for 2 adults and 1 child worth RM16,467. Wow perfect for Capt'n Hook, myself and BoiBoi :p cos usually prizes were just for 2 adults. How thoughtful of Zespri®! Other than holiday packages, you can also redeem a cute Zespri® Kiwifruit doll. There are 2 different dolls though so try to collect them both! Check out how to do it in the contest form. Slice 1 and 1/2 Zespri® Green Kiwifruit, and the remaining half, slice into chunks. Quarter the apple, remove the core and cubed it. Using a small blender or hand held stick blender, blend the sliced 1 1/2 kiwifruits together with cubed apples. Scoop a spoonful of kiwifruit and apple puree into ice lolly moulds. Place in half a cherry. Scoop more puree inside. Put in the other cherry half and top off with more puree. 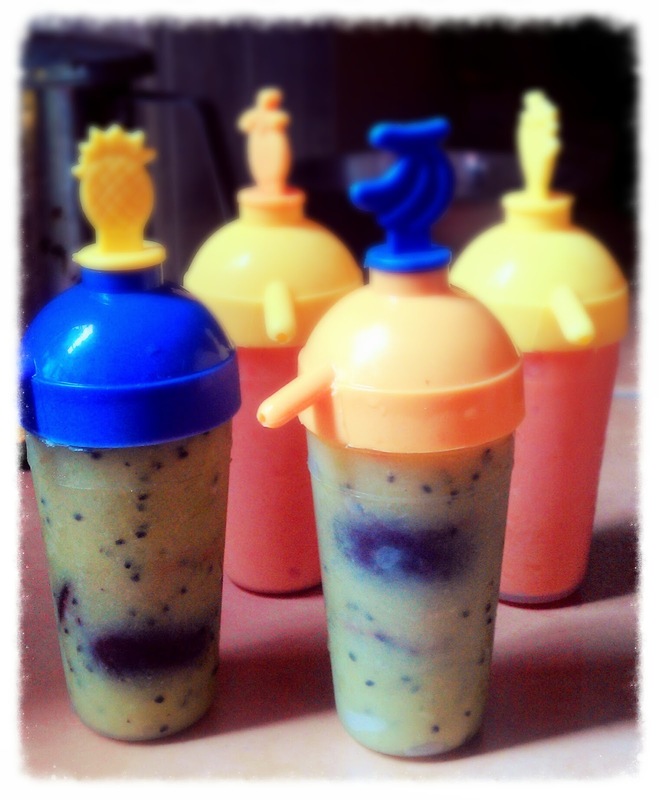 Freeze and serve on a hot day.